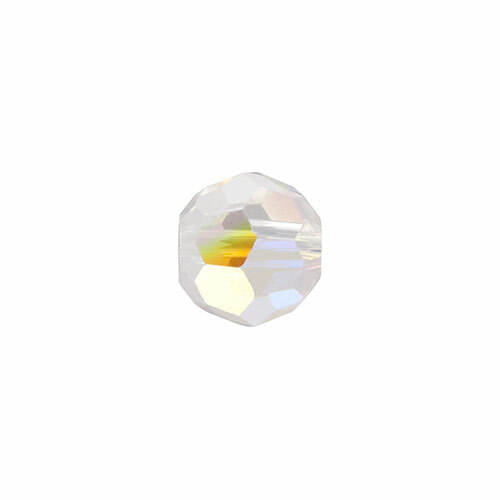 Swarovski Elements 5000 series bead in a crystal color with an AB finish. Size is 4mm round. This is one of the most popular and widely used of the 5000 series beads in both size and finish. You can use these Swarovski crystals for most any project and it is always good to have plenty in your inventory. Sold per bead.